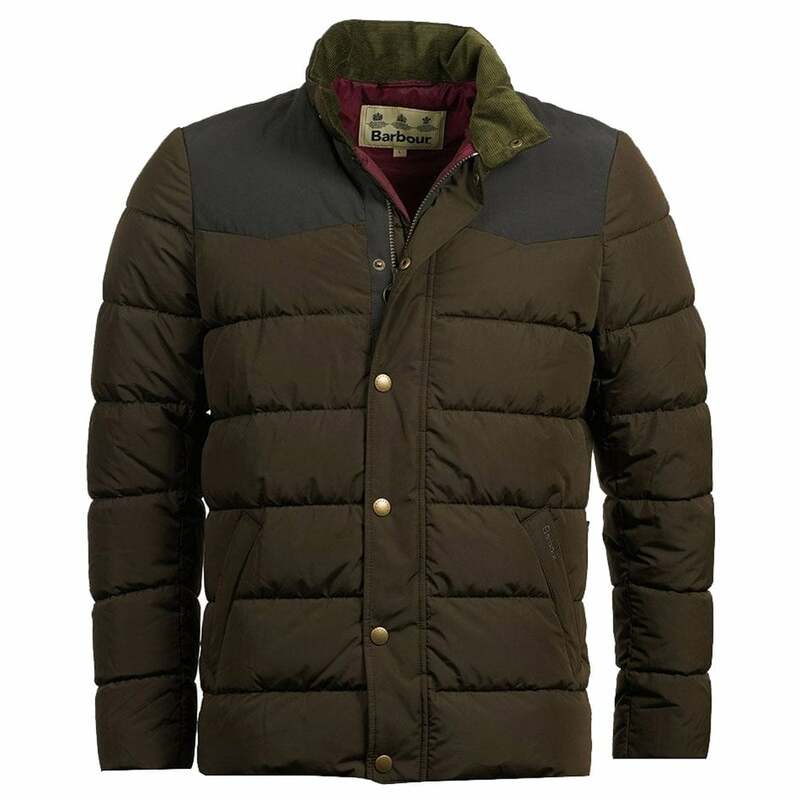 The Barbour Stevenson Quilt Jacket is a warm sporty baffle quilted jacket, ideal for town or country. A contrast fabric shoulder yoke and needlecord inner collar gives fashionable detailing. Two side entry pockets for easy access to your essentials. The Stevenson Quilt Jacket is great for the cold dry days and features Barbour branded buttons, zip pull and leather branding patch.